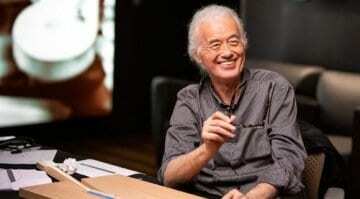 Jimmy Page is lending his ‘Stairway’ guitar to the Metropolitan Museum of Art in New York for a major music gear show that’s going to include 130 other instruments played by various rock icons. I’ve loaned my Harmony guitar, which was a six-string acoustic. That guitar I had way back in the early ’60s, and it was with me all the way through to the point that I used it as a writing tool. 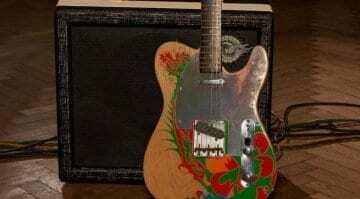 The exhibition includes Jimmy Page’s Danelectro 3021, as well as a number of his Marshall amps. 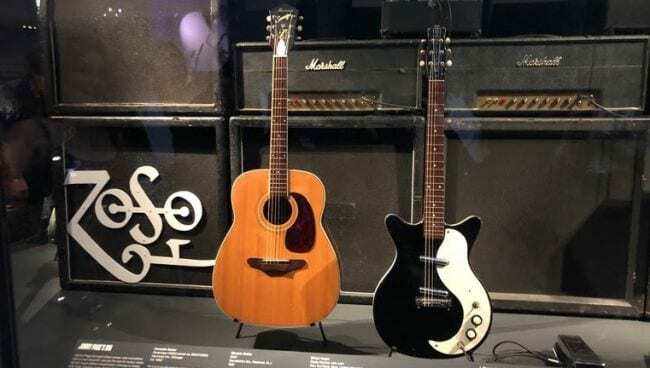 Other gear featuring in the exhibition will be Eric Clapton’s Blackie, Eddie Van Halen’s Frankenstein and Jerry Garcia’s Wolf, plus Keith Emerson’s Moog synthesiser and Hammond organ, and Keith Moon’s Pictures Of Lily drum kit. What with David Gilmour’s upcoming guitar auction at Christie’s in New York this Summer, it would appear NYC is the place to be this year if you want to see some historic instruments used by famous players. 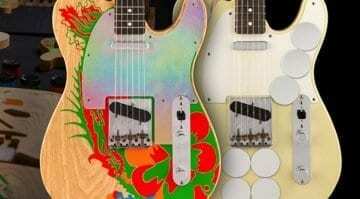 If you missed the Gilmour exhibition last week, pop over to New York and catch it there. The Play It Loud: Instruments Of Rock And Roll exhibition begins on 8 April and runs until 1 October. 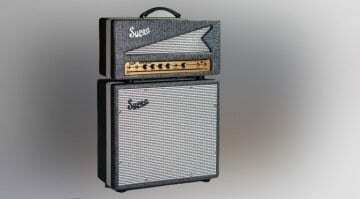 Supro 1695TH Black Magick amp head: More Jimmy Page tones, anyone?